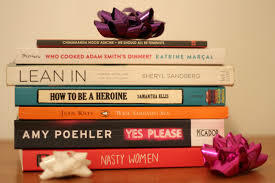 A book makes a fantastic gift. True or false? It’s true because books are personal – they show you care enough to pick something specific. They are a way of sharing something that moved you, or made you laugh. They communicate This really made me think of you. Of course, there are fairly surefire ways to give a book as a gift successfully. Almost anyone would find use and appreciation for a blank journal. If you want to wow them, a signed copy of a book you already know they love makes for a special surprise, and one that will possibly appreciate in monetary value, not just sentimental. Having enjoyed and endured my fair share of successes and failures in the books-as-gifts department, I feel equipped to comment on common book-gifting errors, and hopefully prevent some lovely soul with the best intentions from having their gift fall flat. 10. You don’t know them well enough. Period. When I went through a painful period of loss, a well-meaning acquaintance gave me a book that had helped her through a hard time. It was Chicken Soup for the Soul. Anyone who knows me knows this just made me cry harder. Rule of thumb: if you don’t really know someone, you can’t know their taste, so even a book you adored may be inappropriate. Much of this list boils down to “You don’t know them well enough”, actually, but there are some specific scenarios to watch for. 9. You don’t know them well enough romantically. A friend had been dating a fellow for two months when his birthday arose. Birthdays early into relationships are tricky – the balance of personal and thoughtful versus too intimate or expensive is a delicate one. She chose to give him a copy – HER copy, in fact – of her favorite love story, Harold and Maude by Colin Higgins. It’s a romance between a morbid young man obsessed with dying (he attends strangers’ funerals and fakes his own death) and a vibrant, exuberant 79-year old woman living to the fullest. My friend found it beautiful, meaningful and romantic. Her paramour, when asked how he’d enjoyed the book, shrugged uncomfortably. He had found it “kind of creepy and gross” and not finished it. My friend loved that book so well that she was taken aback by his response, and given pause. I’m not saying it was Harold and Maude’s fault that they fizzled out shortly afterward, but you never know. Perhaps a book given romantically can actually be a good litmus test, when used judiciously. 8. You don’t know them well enough politically. Better to err on the side of caution, mixing politics and pleasure. Politics is often something not discussed much among casual friends, and it can be difficult to gauge a person’s beliefs. Don’t assume. Otherwise, you may find them staring at you in horror when they unwrap Stephen Colbert’s I am America! And So Can You, or conversely, The Christmas Sweater by Glenn Beck. 7. They’re a huge book nerd, and have read everything. Twice. Better to just give them a gift certificate. 6. While you wish they did, they just don’t like books. Remember when you were a teenager, and wore whatever your era’s version of terrible fashion was (mine: ripped jeans, oversized flannel shirts, rainbow hair, combat boots), and your parents would give you clothes, smiling pleadingly, hoping you might actually consider wearing a nice blazer and decent skirt? Yeah. That doesn’t work. Similarly, if someone limits their reading to Cosmopolitan or WWE Smackdown, giving them books to try to make a reader of them won’t go over well. They’ll be unimpressed at best, insulted at worst, and the book will end up in the closet – next to the blazer and skirt. 5. While you wish they did, they just don’t like the books you like. How can they read submarine action, bosom-heaving bodice rippers and stories of moody vampires, when there are better books? So we decide, out of the kindness of our hearts, to intervene and correct their taste. But it’s probably less a matter of exposure than one of opinion. We all think our own taste is best (it’s our taste, after all), but people like what they like, and more power to ‘em. I don’t care if you’re reading for entertainment, education or escapism – just keep reading! It’s a better bet to give them something they’ll actually like, rather than trying to convert them. 4. They’re a gadget person. Even if you know their tastes, and they’ve been a reader all their life, it’s no guarantee. How into gadgetry and devices are they? E-readers are now common enough that some people get all their books in file form, and might not know how to handle a real book anymore. But if you’re lucky, they might pronounce it ‘vintage’ or ‘retro’, and read it for irony’s sake. Perhaps while listening to music on vinyl. 3. They’ve become a minimalist. Some people go through phases where they feel like “all my stuff owns ME!” and try to get rid of stuff. At this point in their lives, they’re probably using library cards (or again, electronic reading devices) to keep possessions to a minimum. Still, I suppose there’s no reason not to give them a book – once they read it, they might give it back! While your student may love reading more than food, sleep and water combined, giving a book as a gift to someone with a full course load can be a cruelty. You’re reminding them they won’t have time to read anything but textbooks, notes and dissertations for long, dark months and even years. Better to just give them a fist full of cash or some food more nutritious than noodles. Although perhaps it’s kind to remind them the world can be a beautiful place where reading is a choice. The book could sit on their shelf like a beacon of hope, boosting their spirits to make that final push to the end. 1. You haven’t researched the book properly. You know that Great-Aunt Geraldine loves gardening and home décor, so you hastily buy her Flowers in the Attic. Or your nephew takes an interest in the Beat Generation, so you thoughtfully pick him up The Road by Cormac McCarthy. Ooh…so close. Gifts can sometimes be needed quickly, and books are such highly personal items that ensuring you know the book properly is important. Otherwise, Great-Aunt Geraldine might never stop screaming. …And if you’ve read the above list, and feel safe that none of the scenarios apply, by all means proceed. 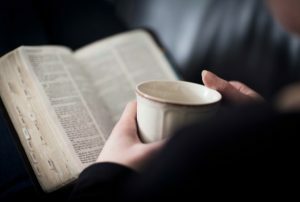 The list is largely tongue-in-cheek anyway, and books often make the best gifts of all, if chosen with love and wisdom. And for every book I’ve gifted that tanked like a lead balloon, I’ve given at least 10 that have been met with pleasure, delight, and genuine excitement. Not a bad way to stay on someone’s Christmas card list. I’ve included a selection of books that I’ve given as gifts that were a big hit with the recipient – maybe you’ll get an idea that works for the booklover in your life, too.